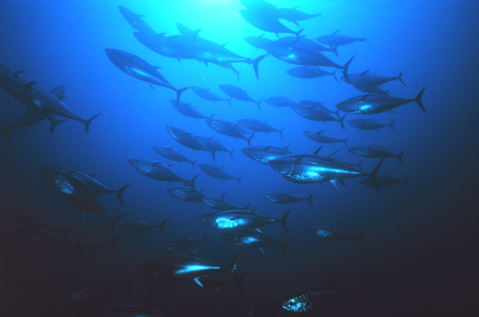 _ Bluefin tuna have been caught for consumption since the time of the ancient Greeks, and since the 1930’s, bluefin tuna have been one of the central big-game species sought after by fishermen. The fish are large, sleek, and muscular, giving them great speed and power. For these reasons, these apex predators have gained the admiration and respect of ancient and modern fishermen alike. However, these fish also offer a meat that, raw or cooked, is appetizingly pleasing. This makes bluefin tuna a very valuable commercial catch. For this reason, the three species of these fish have been over-fished to critically low levels over the past fifty years. Recent advancements in management and conservation have made some progress in rebuilding the stocks.